Scene 12High Volume Production Photoresist processing for up to 300mm wafers. Completely programmable with lowest COO in the industry. Flexi A low footprint production photoresist with radial robot access and stacked modules for up to 200mm wafers. Scene 8For production photoresist processing of wafers to 200mm, with high speed handling and programmable wafer centering. WEEOur Wafer Edge Processing provides concentricity within .75mm, handling wafer sizes to 300mm, with flat following & patterns. S-Cubed BasicsFor your lab or research facility these value oriented machines replicate high cost lithography processesin smaller, less expensive footprints. ARE YOU HUMAN ? What is 3 X 3 X 3= ? 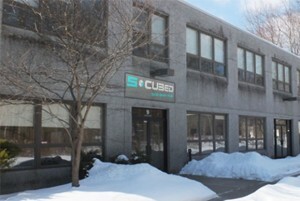 The S-Cubed Engineering team is comprised of accomplished engineers and entrepreneurs with a long history of designing and manufacturing innovative equipment for semiconductor lithography and allied industries. Our equipment is deployed in fabs and labs throughout the world. Our most advanced semiconductor products for production environments are the S12 and the S8 which provide the most process control and the least Cost Of Ownership in the industry. First wafer level convection oven. First Flux and Fluxless pillar and solder ball reflow tool. First resist self-planarizing process for square substrates. First practical “robotic” wafer handling system. The Industry’s first fully programmable LED based Wafer Edge Exposure system capable of uniformity of exposure width within 75 microns on wafers warped up to 7mm. Our belief is that we must find ways to help our customers achieve their goals, while providing exceptional reliability, functionality and value. 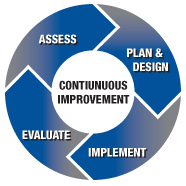 We believe in the concept of Kaizen, never satisfied with what is but seeking ways to continuously improve in every aspect of what we do for our customers..
S-Cubed provides higher reliability, more functionality and a smaller footprint – all at a lower cost. We do this by eliminating “non value added” hardware, and by having a modular product assembled in a vertically integrated manufacturing operation that allows for maximally efficient and nimble product assembly. After 25 years of designing photolithography equipment, our control design and software controlled robotics are mature and reliable and represent some of the most advanced performing lithographic platforms in the industry. • Mechanical Components: Extruded frame gussets and mounts hinges bearings and holders motors slides are designed for durability and efficiency. • Electrical Control Systems: We have deep experience in power distribution and digital robotics control using distributed processing. Our use of Brushless DC Servo motors ensures precise control of process parameters as well as smooth, fast and gentle wafer handling. • Software: Data Base Driven – Our software and control algorithms have evolved over decades. The maturity and modularity of the software ties in simply and reliably to the control hardware to reduce sensors and improve system accuracy. Our modular, database driven approach enhances reliability and reduces costs through component elimination. please call (973) 263-0640 or visit our contact us page. To learn about the different ways S-Cubed can help you in the semiconductor lithography and allied industries, please contact us today.